Pain Description: Diagnosed by the doctor, physiotherapist or osteopath. Aim: To take pressure off the whole spine by keeping the body supported in a healthy upright S-position, reducing and preventing pain and tension build up. This helps to keep the muscles balanced. 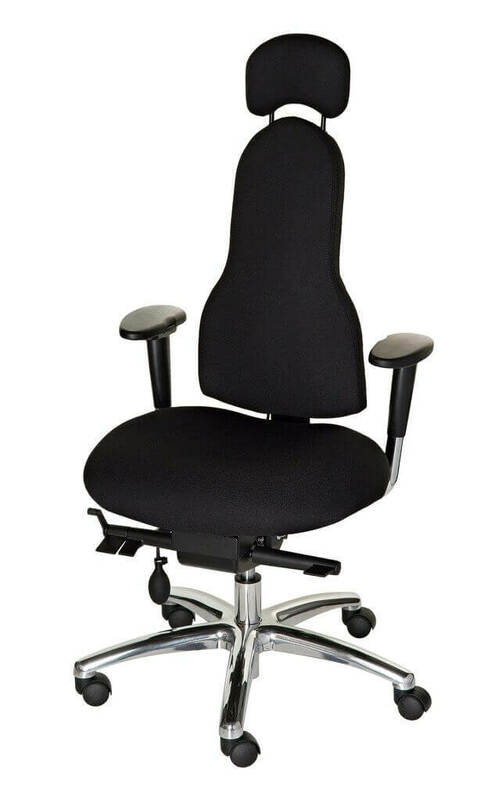 Recommended Chair Model: The Libero specialist chair. Benefit: Getting the angle of your sitting posture correct is key. The Libero’s high level of adjustability allows you to adjust the backrest and seat angle at the correct setting that will maximise your recovery. By providing support that can be fine-tuned to your exact postural needs, the build-up in tension is reduced and pain is eased, providing long term relief. The design of the Corrigo backrest is specifically designed to cradle the back in exactly the right place for your own spine shape. The slim shape not only provides lower back support but also support between the shoulder blades, encouraging an upright, open chested posture and allowing freedom of movement. 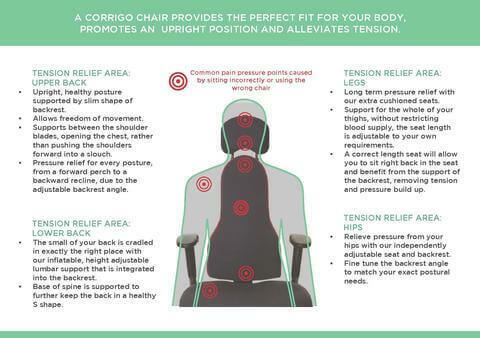 Discover the best office chair for Scoliosis. SHOP NOW by clicking on the Libero image above or CONTACT us for a free consultation on finding the best solution for you.